I'm an editor who loves to try new tools and interfaces – indeed, anything I can get my hands on – to increase productivity and reduce inefficiency while maintaining or improving quality. So I was delighted when one of my regular publisher clients commissioned me to proofread a 320-page business book using Futureproofs and, upon completion of the project, report on my experience. Futureproofs is an online markup interface for proofreaders, authors and publishers (launched in 2014). The client uploads a PDF file to the Futureproofs site and the proofreader (or author) can then access the file via their web browser and begin the proofreading process, using Futureproofs’ very own onboard markup tools. Futureproofs also lets you deal with queries, collate master proofs and proofread two versions against one another, to try to provide the full set of tools that editors and proofreaders need. I duly carried out the proofreading work and submitted the report, a copy of which was sent to Futureproofs CEO John Pettigrew. He kindly provided some really useful follow-up comments in relation to my observations. John and I then discussed how we might present my findings and his responses on The Proofreader’s Parlour so that other proofreaders who haven’t yet used Futureproofs might have a better idea of what to expect if one of their clients asks them to undertake proofreading work via the platform. The outcome of that discussion is this article. John’s feedback on my initial report is included throughout. I'm extremely grateful for his permission to use his comments because from them you can learn about tweaks to the platform that are already in the pipeline or that are under consideration by the FP team. My experience of onscreen proofreading is extensive – to date, over 200 books for a range of academic and professional presses. While I usually edit directly in Word when proofreading for self-publishers and businesses, onscreen proofreading for publishers is of the traditional kind – that is, I'm working on the PDFs of designed page proofs (see “Not all proofreading is the same: Part I – Working with page proofs”, Proofreader’s Parlour, 2014). When the use of BSI* markup symbols is required, I use digital BSI stamps (see “PDF Editing – Making the Most of the Stamps Tool”, Proofreader’s Parlour, 2012) in conjunction with the PDF editor’s onboard commenting and markup tools. When BSI markup is not required or understood by the client, I use just the onboard commenting and markup tools. The programs I’ve used for onscreen proofreading are Acrobat Reader (various versions including DC); Acrobat Pro (version 9); and PDF XChange (my preferred tool because it is an excellent and considerably cheaper alternative to Acrobat). Marking up a PDF for me is all about introducing efficiencies and raising productivity without compromising on quality. I've found proofreading on paper for publishers to be increasingly less profitable (in some cases to the extent that I've had to say goodbye to long-standing clients whom I’d really enjoyed working with). The hourly rates offered by many academic and trade presses have not risen for some years so I need to be able to use tools that enable me to do the job just as well but faster. The option of using digital interfaces that allow me to introduce efficiencies is therefore crucial. Proofreading for publishers is about more than checking spelling, punctuation and grammar. Because I'm working on typeset page proofs, it’s about attending to layout issues, too, and imposing consistency (including with regard to house style). It’s therefore imperative that I can view the pages, bookmark them, navigate through them, and search them quickly. I do recognize that many of us work in similar ways, and just as many work in different ways. The manner in which I go about working efficiently may differ from that chosen by my colleagues. This review of Futureproofs is thus based on my experiences; other proofreaders may have a different story to share. FP’s standout feature is undoubtedly its markup functionality. The onboard tools are quick to learn and intuitive to use – I’d cracked the markup in minutes. Gone are the commenting/markup tiles and stamp palettes that we work with in PDF. Wave goodbye to downloading and formatting stamps files (from the likes of me!). All the tools you need are right there at your mouse-holding fingertips. Markup simply involves point and click, circle or underline. After that, it’s a case of choosing the instruction from the automatic popup menu. I'm experienced in using commenting and markup tools so, prior to starting work in FP, I wasn't convinced that there would be any efficiency gains. However, FP handles the margin markup for the proofreader – all we have to do is worry about the in-text correction – and that’s a time-saver (and a wrist-saver!). Is it faster than using a stamping tool? I'm not sure – it certainly wasn't slower (but I'm a speedy stamper!). It is, however, far more elegant in terms of usage. Overall, I’d grade this function as excellent. The markup is moveable (also true when using stamps in PDF). This meant that I could be more precise when I wanted to ensure that, for example, the insert carat was close up to a word that I was adding a letter or punctuation mark to, and was in the middle of the space when I was adding a separate word. This is a lovely touch, even for an onscreen editor who’s a rampant saver (like this proofreader!). It provided me with a sense of security. Onscreen editorial professionals are usually caught out because of something like a screen crash or a whole-system shutdown. Such events are rare occurrences but if one hasn’t saved PDF proofreading work for even a few minutes it can be extremely time-consuming to locate which marks have remained intact and which have to be rekeyed. FP has removed the problem by automatically saving the marked-up file. The query function was comfortable to use, though I’d have liked to be able to remove deleted in-text queries from the dashboard so as to prevent confusion. The dashboard also includes a messaging function. I didn't use this but if I'd needed technical assistance I could have alerted the FP team quickly and easily. Though I could mark up text, I couldn’t copy or paste it. This was frustrating. If, for example, I wanted to check an author’s name, book title, or url online, I had to type the text into my web browser. More broadly, I had to use a separate PDF to strip the text into a Word document (from which I could do spelling and consistency checks, or run macros like ReferenceChecker and PerfectIt). Says John, "It's fundamental to the way we've built Futureproofs that the page acts like a piece of paper on which you draw, which unfortunately means that the ability to copy and paste text out of the book is hard to add. That said, it's something we're well aware of and we have plans for the future. We’re also keen to add new features like automatically building a word list for consistency checks." There’s currently no option for a double-page spread so one can’t check that facing versos and rectos are balanced. This also slows down running-head checks – if working directly on a PDF, I’d quickly click through a double-page spread and look only at the versos. Then I’d do the same again for the rectos in order to check they matched the chapter title. There is no bookmarking function. This means I couldn’t navigate with speed between elements that I have liked to tag (e.g. chapters, tables, figures and boxes). When working in Acrobat or XChange, I bookmark all the primary elements so that I can, for example, quickly locate and check chapter-drop consistency or ensure that the main chapters or sections match their page numbers in the contents list. Good news, however. John reports that "the double-page-spread view is coming soon". Furthermore, "Bookmarking is a great idea and I'll add it to our roadmap. We follow an agile development process, which basically means that we prioritise features that lots of users ask for." So if you’re a current FP user and you want bookmarking, tell John and help to move this function up to the top of the FP to-do list. Loading FP pages is marginally slower than when working directly on a PDF. Those tiny margins do all contribute to the issue of efficiency, though this wasn't a deal-breaker for me. I found this tool alarming and rather invasive. FP had me logged as having spent 14.2 hours on my proofs. The work actually took me 24.5 hours. It concerns me that publisher clients might use this information to make assumptions about how long a proofreader takes to work on a project and, consequently, reduce fees. In reality, proofreaders do a lot of work that doesn't involve actually physically clicking on and amending page proofs. ​I’d recommend that you reiterate this point to your publisher when you’ve completed a project – highlight the number of hours you actually spent on the job compared with time recorded on the FP dashboard. The stability of my internet connection was a major problem on some occasions. My connection dropped 26 times during the proofread. The dropouts lasted for between 10 seconds and 1 minute. During that time, I was unable to make any corrections. This contrasts with marking up a standalone PDF, which isn’t at the mercy of my broadband provider. ​This impacted on my productivity and was extremely frustrating. It’s not FP’s fault, and there’s nothing to be done about it at John’s end, but you should be ready to manage this issue if broadband dropouts are a known issue in your area. For me, the search function in FP is the biggest disappointment. The efficiency gains and elegance of FP’s markup functionality are countered by the frustrations I met when trying to locate problems in the text via the search tool. ​At the nub of the issue is the fact that clicking on an entry in the search-results window doesn’t take the proofreader to the exact spot in the text. The contextual text provided as a guide is unusable in books with large word counts and dense academic or business-related material. I was totally reliant on my PDF to identify searched-for problems, and their exact position in the file. I then had to go back to FP and use its onboard search tool, locate the matching page, find the problem, and mark it up. What could have taken a few seconds turned into a couple of minutes for every searched-for change I made. I had to be very exact with my FP searches, whereas a standard PDF allows me to search quickly and easily for fragments of words, and then use the search-results box to move directly to the exact place on the page that needs amending. Locating and marking multiple instances of the same problem quickly and efficiently was impossible. For example, the author in my book had primarily used "while" and "among". I wanted to locate 30 instances of "whilst" and "amongst" quickly so that I could impose consistency. I had to search twice – first using the PDF for exact location purposes, and then using FP to mark up. Efficiently checking consistency of layout of different elements of text (e.g. tables, figures, boxes, and source captions) had to be done on the PDF. My efficiency was impaired when I was searching for single-issue problems. One of the tasks I carry out during every proofreading project is the creation of a word list (by stripping the text from a PDF and pasting it into a Word document). I then alphabetize it and look at each word, and those surrounding it, on the list. The whole process may sound time-consuming (and it can take several hours in a large project); however, there are two benefits: improved quality and increased efficiency. The word list will flag up many things that I need to check – sometimes hundreds. Some will turn out not to need amending, while some will need marking up (for example, Harnby, Harnvy). In a 150,000 word text, I’m not convinced any proofreader can rely on their brain to spot (and check) any such potential errors as they’re working through the book page by page, line by line, word by word. That’s why I locate these problems before I start the actual read-through – I’m getting this part of the job out of the way so that I can concentrate on the spelling, punctuation, grammar and context during the read-through. I need to be able to locate the issues quickly and then mark up accordingly. ​When working directly in PDF, it’s a one-stop process because the search tool takes me directly to the place on the page. In FP, I had to find each problem using the other PDF, and then find the corresponding problem in FP. I tried using the contextual text to help me do this directly but when searching for one word in FP I sometimes ended up scanning half a page. The process was simply too slow. So, if you’re an FP proofreader, and you’d like this function incorporated, let John know! In regard to the search issue, John had this to say: “We know that our search tool has a way to go before it's finished – we only added it in August! Currently, we match your search term against whole words, but we’re adding a partial-match feature soon; we do already have a 'relevancy' search option that deals cleverly with multi-word searches (allowing results to be returned even if words are in the wrong order), and we will be expanding the available options in the future. ​I couldn’t rotate landscaped material and so had to proofread such pages using the PDF and then return to the FP file in order to mark up (twisting my head and neck somewhat in the process!). Given that many of the books I work on for academic and professional houses include landscaped figures, tables and appendices, a separate PDF was absolutely essential. John responded positively, stating that page rotation is another feature that his team could add fairly easily. Again, if you’re a proofreader who wants to see this function in FP, let John know so that he can prioritize it. If you’re a proofreader who’s asked to work within the Futureproofs interface, don’t panic! The dashboard is simple to navigate and the proofreading platform takes only minutes to get to grips with. The line-by-line markup functionality is, frankly, gorgeous. If my work involved simply word-by-word markup, FP would score top marks. However, professional proofreading requires so much more than this. Ultimately, I was still reliant on two discrete mediums – FP and a PDF. The result of this is that I couldn't work efficiently because not all the functionality was in one place. If there are functions you want FP to include, make sure you tell John's team so that they can prioritize accordingly. They can’t act on what they don’t know! I think that FP has promise, and that if the interface can be refined to improve search functionality (so that it competes with, or even exceeds, that of Acrobat and XChange), navigation, bookmarking and page layout, it could be a product of choice for proofreaders. At the present, though, it elicits a mixture of elation and frustration. Would I like to use it again? I’m prepared to work with my clients in ways that best suit their needs. Thus, if a client asked me to work in FP (rather than on PDF), I’d first need to build the reduction in efficiencies (as a result of the search issues) into my accounting in order to decide whether to accept the job. I’d also need to insist on the supply of a separate PDF. With those issues in order, I’d say yes. * BSI = British Standards Institution, which has issued BS 5261C:2005 "Marks for copy preparation and proof correction". UPDATE APRIL 2016: Since I wrote this review, several exciting new features and improvements have been integrated into the Futureproofs platform. See 'Taking another look at Futureproofs (by John Pettigrew)'. Louise Harnby is a professional proofreader and copyeditor. She curates The Proofreader's Parlour and is the author of several books on business planning and marketing for editors and proofreaders. Visit her business website at Louise Harnby | Proofreader, say hello on Twitter at @LouiseHarnby, or connect via Facebook and LinkedIn. "Not responding" ... do you sometimes see this message at the top of a Word window when it’s running a long macro? If so, you don’t need to panic. When a macro is running, if it’s taking rather a long time (according to Microsoft), Word displays a warning message in the title bar of the window – "Not responding" – and the screen display freezes. Actually, the macro hasn’t stopped working; it’s just that the macro is using up so much processing time that the computer’s operating system decides it hasn’t got time to update the screen display – well, not until the macro finishes. So what should you do? Be patient. Make a cup of tea. Take the dog for a walk. But there’s some good news, especially for users of my macros. I’ve discovered a new (to me) command (DoEvents) that I can put in my programs; it makes the macro stop for a fraction of a second and this allows the computer to update the screen. I won’t say that “Not responding" will be a thing of the past, but if you use the latest (8 November or later) versions of my macros you’ll still be able to see onscreen that something is still going on. More importantly, you will be able to see the prompts that the macro puts on the status bar down at the bottom of the window to show its progress. One final bit of advice still remains. For running macros that use lots of computer time, do try the macro out first with a more modest-sized document – a few thousand words – and not on your magnum opus 150,000-word book. Paul Beverley has over 25 years’ experience as a technical author, publisher, proofreader and editor, and has the highest available editing qualification: LCGI (editing skills). Paul is passionate about macros and has used his programming ability to complement his writing and editing skills. Through his series of Macro Chat posts, he aims to share his knowledge and open up a dialogue about the benefits of macros to anyone working with words. Comments and questions are always welcome so please do join the discussion. No question is too basic! Visit his business website at Archive Publications, and access his free book at Macros for Writers and Editors. I am the first editorial professional who has worked on the project since the writing was completed. The author hasn't created their own style sheet. A copyeditor has worked on the project prior to it landing on my desk, but they haven’t created a style sheet. Or, if they have, they haven’t given it to the author. The author has received a style sheet from the copyeditor, but didn't realize that it would be valuable to me. Whether I'm proofreading or copyediting, I always like to create one for my customers. Why? Because it helps me and it helps them. Why create a style sheet? 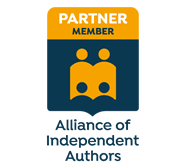 Professionalism: I make a promise to my independent author clients that I’ll professionalize their work to publishing industry-recognized standards. However, I can’t assume that my clients know what these are – after all, it’s not their job to know. Some of my clients write full time but most have day jobs; many are producing their first books so the world of publishing is new to them. They need to be able to rely on the editorial professionals with whom they are working to amend their writing in a way that does no harm and that can be defended by reference to understood and industry-recognized conventions. The bigger picture: Even if the author worked with a copyeditor before the proofreading stage, a proofreader’s style sheet shows that I am still looking at the bigger picture – making decisions based on publishing standards, or author choice, or consistency, or for ease of readability. It's not just about finding spelling errors – it’s about providing a professional service that acknowledges that the client is publishing a book, and that their book should look professional. Clients appreciate them: I've had positive feedback from indie authors about my style sheets. Clients have told me that the style sheet helped them to understand why I've amended as I have; that it acted as a reminder of the decisions they can implement in future projects at the self-editing stage; and that it's a useful template for recording their own style preferences. At-a-glance: The style sheet provides the author with an at-a-glance summary of what I've done and why I've done it. This provides clarity as well as an understanding of the proofreading or copyediting process. Appropriate focus: A style sheet allows the author to focus on what they’re good at – the writing – and me to focus on what I’m good at – the proofreading and copyediting. Tracking: Style sheets help me to keep track of decisions and spot any problems. I may be the first person to work on the project – proofreading for indie authors can turn into more than a prepublication check, and the boundary between copyediting and proofreading can blur. And, even if the text appears to be in great shape (in terms of spelling, punctuation, and grammar), there may still be logic flaws that everyone else missed. Laying things out in our own way: We all design our style sheets in ways that make sense to us – so even if I'm using a copyeditor’s as the foundation, creating my own (and embedding my colleague’s decisions into it) sharpens my senses and enables me to lay out the decisions in a way that makes the best sense to me. Reducing queries: The style sheet shows my author why I've made certain decisions. I can validate my amendments by citing the resources I've used. Authors won’t ask themselves, or me, why I removed the quotation marks around the name of a pub, or why I changed a set of nested single quotation marks into doubles – I've already told them. Those new to proofreading and copyediting, or who are considering whether it is a viable career choice, may not be familiar with what goes into a style sheet. And if you’re an author, you might not be either. Broadly speaking, a style sheet is a record of preferences – the author’s or their publisher’s; a style manual's; or some other agency's. In many cases, authors are happy for me to make the decisions based on my publishing knowledge and my use of recognized style manuals (e.g. New Hart's Rules and The Chicago Manual of Style). Ultimately, style sheets aren’t about rules but rather about tracking choices for the purposes of consistency and professionalism. They enable the editorial professional to keep track of decisions about spelling, punctuation, grammar, text layout, idiom usage, and (in the case of fiction) characters’ key features. Tracking these elements helps the proofreader to minimize inconsistency, spot flaws and attend to problems with regard to how the words in the book actually work on the page. What might a style sheet look like? If you’re a new proofreader, editor or writer and you’d like a Word template for your individual use, feel free to download the sample below. You can tweak it so that it meets your own needs. (I'm happy for this sample to be shared, too, as long as the appropriate url-linked attribution is given). My style sheets can be fairly comprehensive, so I include embedded links to enable the author to move between the various elements (language preferences, formatting and layout decisions, main character names and key features, reference sources, and spelling preferences) with ease.